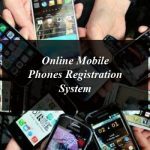 Home » Technology News and Business Updates Of Pakistan » How To Block Extra SIM Cards Issued Against Your CNIC? To block the extra sim cards issued against your CNIC number is not a tough task. With the simple procedure you can block them easily. 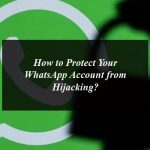 Your sim card is very much important for you because if it lands in the wrong hands it will be a panic for you as the criminal can use it for performing the criminal activities and worst consequences have to bear the owner of the sim. So it is very much important to know how many sim cards are issued against your CNIC. If you are worried about that your CNIC is used by someone else to issue a SIM you can easily check that how many SIMS are on your name and CNIC. To check the sims card issuance against your CNIC is very easy. You can check how many SIMs are issued on your name and CNIC just write your National Identity Card (CNIC) Number and send it to 668. You can also the sims card issuance against your CNIC online by visiting the Pakistan Telecommunication Authority (PTA) http://cnic.sims.pk/. Just open the link write your CNIC number and click on Submit. It will show that how many SIMs are issued on your CNIC. If you find more than one SIM cards issued against your CNIC and you even don’t know about them you need to instantly connect with the concerned authorities to get them blocked soon. You can visit the nearest franchise and get the SIM card blocked. If you can visit the franchise or customer care centre you can call at the helpline numbers and request for the cancellation of the sim that is not under your use. To reach out to the customer care representative you can call the helpline number of the concerned telecom in Pakistan operator mentioned below. If you are a Jazz user you can call at 111 from your mobile phone, you can also dial 111-300-300 if you want to take help from Jazz customer service from your landline. If you are a Warid user you can call at 321 from your mobile phone, you can also dial 111-111-321 if you want to take help from Warid customer service from your landline. If you are an Ufone user you can call at 333 from your mobile phone, you can also dial 033-11-333-100 if you want to take help from Ufone customer service from your landline. If you are a Zong user you can call at 310 from your mobile phone, you can also dial 111-222-111 if you want to take help from Zong customer service from your landline. If you are a Telenor user you can call at 345 from your mobile phone, you can also dial +92 42 111 345 100 if you want to take help from Telenor customer service from your landline. 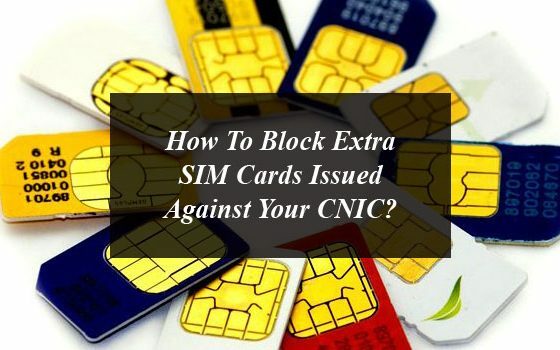 How to Block Extra SIM Cards Issued Against Your CNIC? To block the extra sim cards issued against your CNIC number is not a tough task. With the simple procedure you can block them easily.